Mothers have such an inside road with children that it is interesting that God commands fathers to be about the work of spiritual nurture. I don't believe he means to exclude mothers. No, I think he assumes they'll do their part. 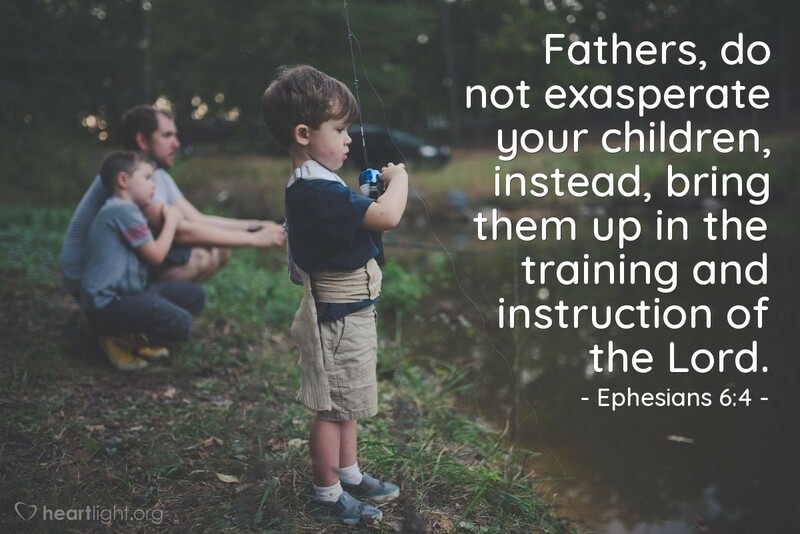 But the father's influence and intentional training is so essential. Abba Father, may my children come to find you in me. In Jesus' name I pray. Amen.